Belligerent, self-destructive men aren’t always loners. Think of Ernest Hemingway. He abused his body with drink, constantly picked unnecessary fights and alienated those he loved. In short, he wrecked his life and his final act of self-slaughter was merely the last in a long string of self-inflicted wounds. But despite his shoddy antics, Hemingway was rarely alone in his folly. He was surrounded by cronies who egged on his terrible deeds, celebrating misbehaviour as a form of manly defiance. These cronies were enablers who encouraged the worst excesses in their hero making any possibility of self-correction much more remote. 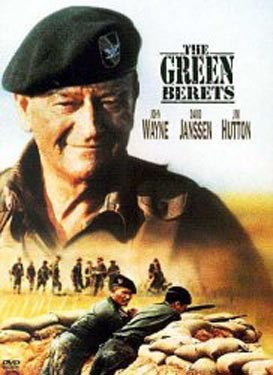 John Wayne: the great hero of 1960s counterinsurgency. The romance of war doesn’t just appeal to conservatives who have spent too much time reading Kipling and watching old John Wayne movies. Liberals also have their own tendency to glamorize war, going back at least as far as Woodrow Wilson’s absurd celebration of the First World War as a great battle for democracy. For the last half-century, counterinsurgency has been the type of war that liberals are most likely to idealize. In theory, counterinsurgency sounds great: it’s war fought to win “the hearts and minds” of the people, war that involves building alliances with the local population, war done with the best of intentions, war as a giant social welfare program (with guns). 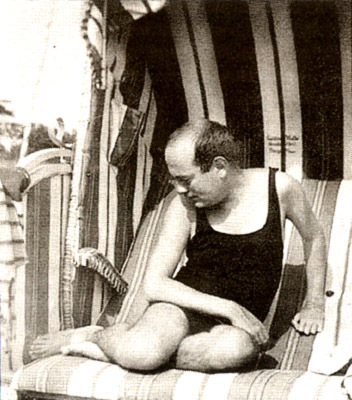 Adorno: almost as cute as Natalie Portman. 1. I’ve been writing literary essays for The Walrus, Canada’s answer to Harper’s or The Atlantic Monthly. My long review essay on “the Holocaust novel” can be found here. It touches on everybody from T.W. Adorno to Natalie Portman to Art Spiegelman. I also wrote a briefer, but related, review of Keith Oatley’s new novel, a review which can be found on the bottom of this page. Finally, I have a little essay on the difference between reading a writer and listening to him or her read, which is here. We’ve seen this in the movies dozens of times: highly-trained Western special forces burst suddenly into a target building, their weapons at shoulder height. Moving rapidly from room to room, they identify each potential target within a second, unhesitatingly shooting the bad guys while keeping safe the unarmed and innocent. When it is over, the audience breathes a sigh of mixed relief and admiration. Being the movies, this cannot really depict reality — and in fact, it doesn’t. It turns out that when special forces burst into a house, they keep their eyes closed. It has long been a rule of thumb in the partisan media that circulation goes up when the party one aligns with is out of power, and goes down when it is in power — it is more fun, more pulse-racing, to fiercely oppose the actions of a government than to debate the banal details and necessary compromises of real policy-making. So if Fox News and right-wing talk radio will always benefit more when the Republicans are in opposition than when they’re in government, it does seem short-sighted of the GOP to rely on these deeply conflicted institutions to help bring them victory. What does Fox care about political power? They want ad dollars, and this means viewers — and the angrier and more engaged, the better. A lost cause can be such a sweet thing.